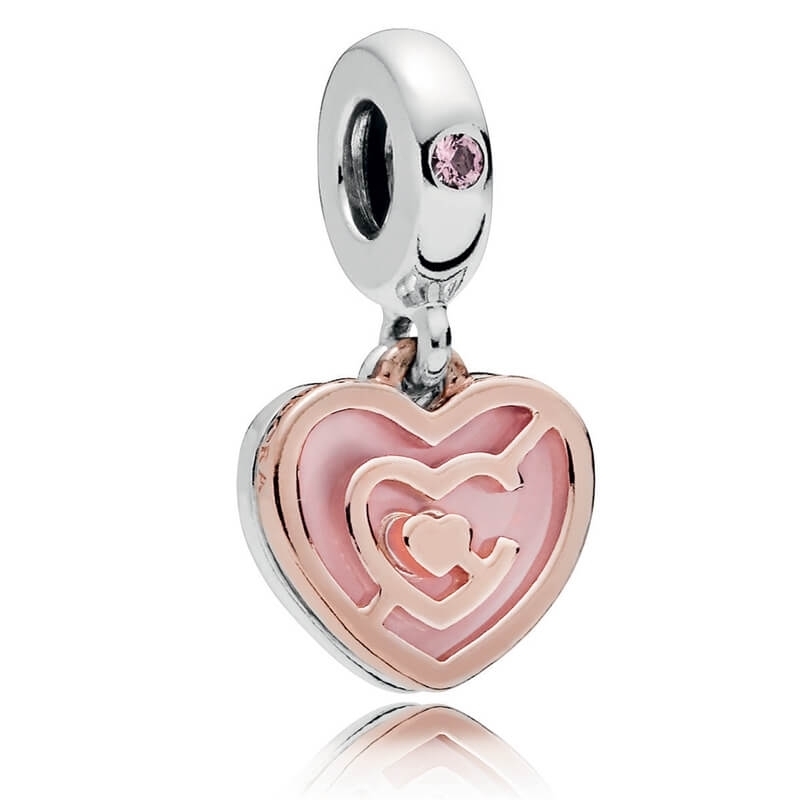 PANDORA Path to Love Pendant Charm. A powder pink enamel heart is overlay-ed by a labyrinth pattern in PANDORA Rose. Engraved with a secret message on it's reverse 'Follow your heart'.